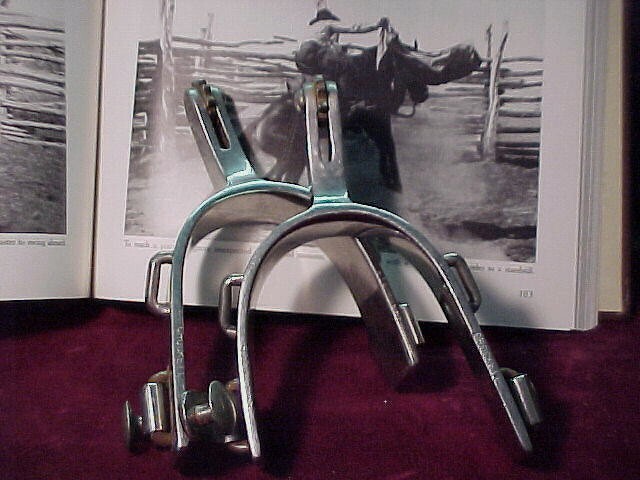 These old rodeo small roweled spurs would have been used to dig into bronco horse or bull in attempt to hang on for a few seconds longer. They are signed crockett and are stainless steel. Nice pair to wear or added to collection. These old rodeo small roweled spurs would have been used to dig into bronco horse or bull in attempt to hang on for a few seconds longer. 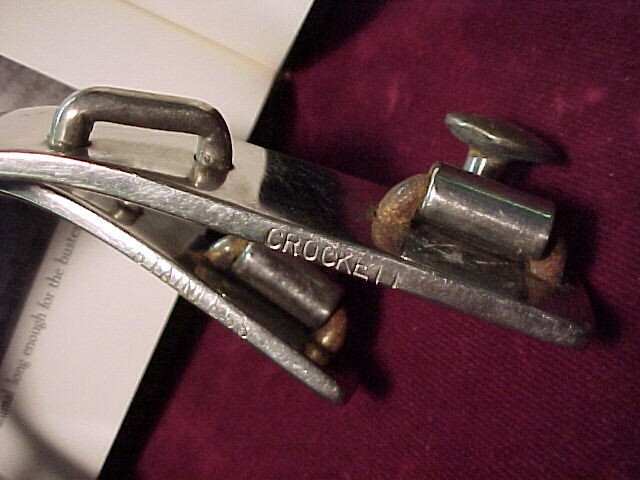 They are signed crockett and are stainless steel. Nice pair to wear or added to collection. Please email cowboycabin@centurytel.net with questions or call 406 270-2842.